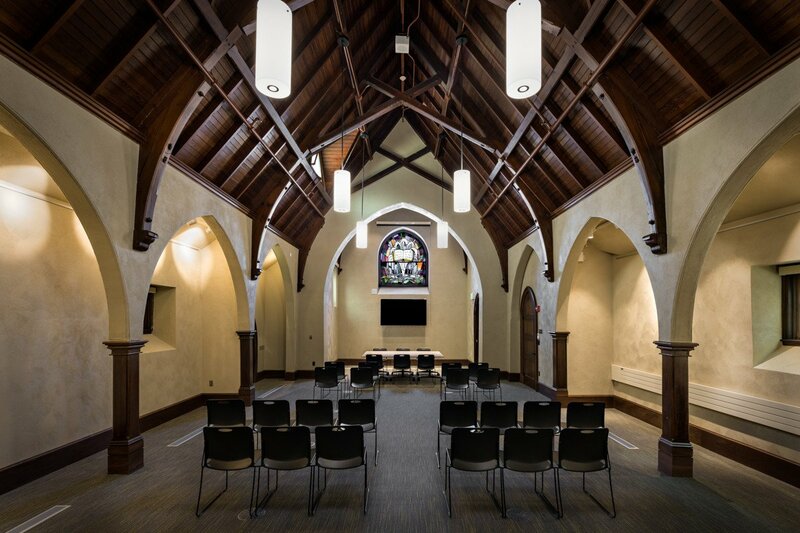 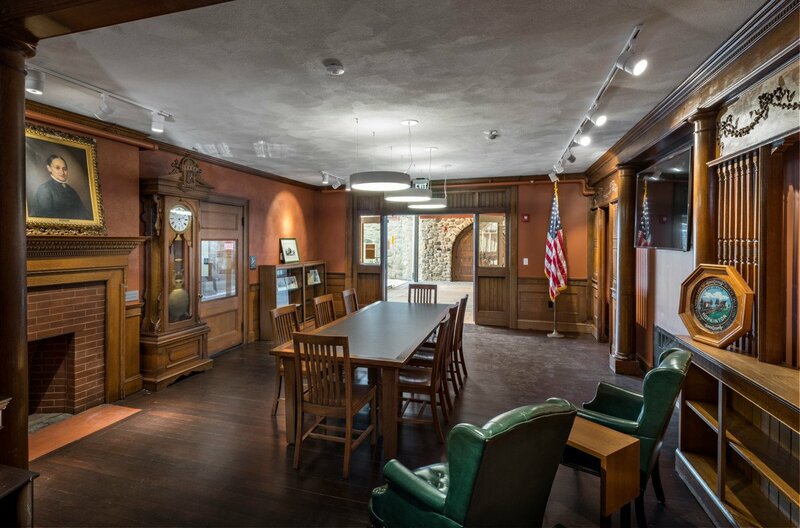 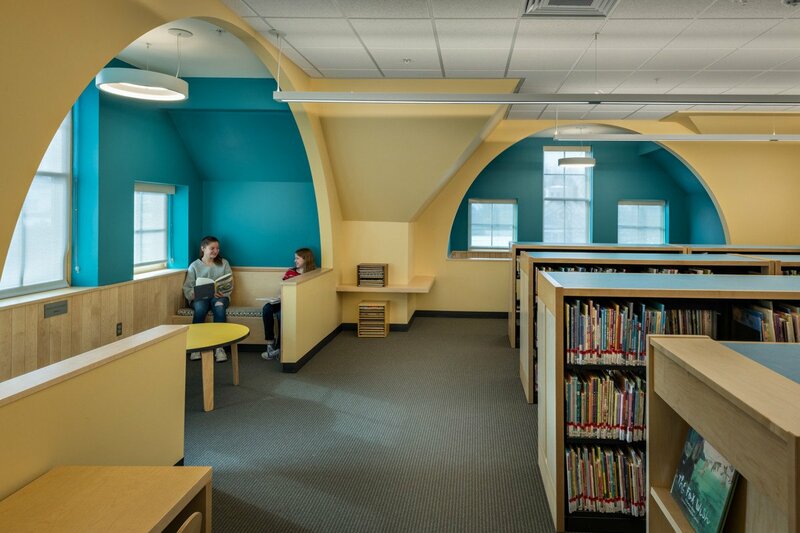 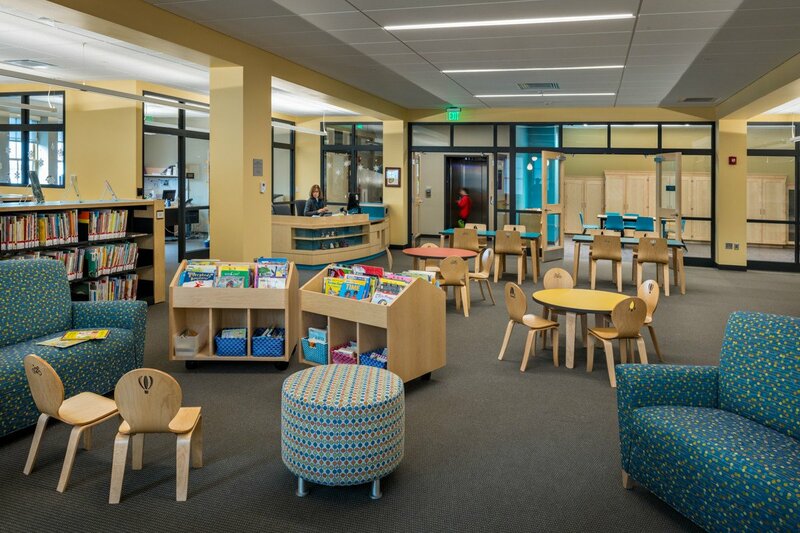 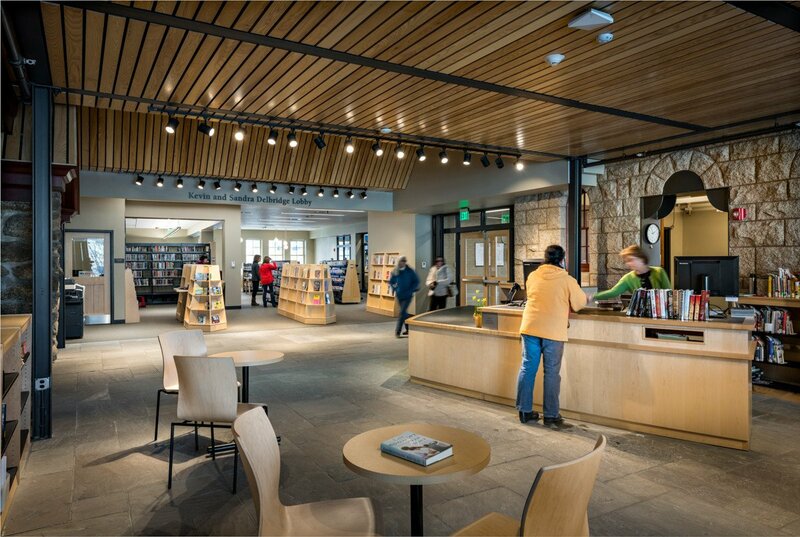 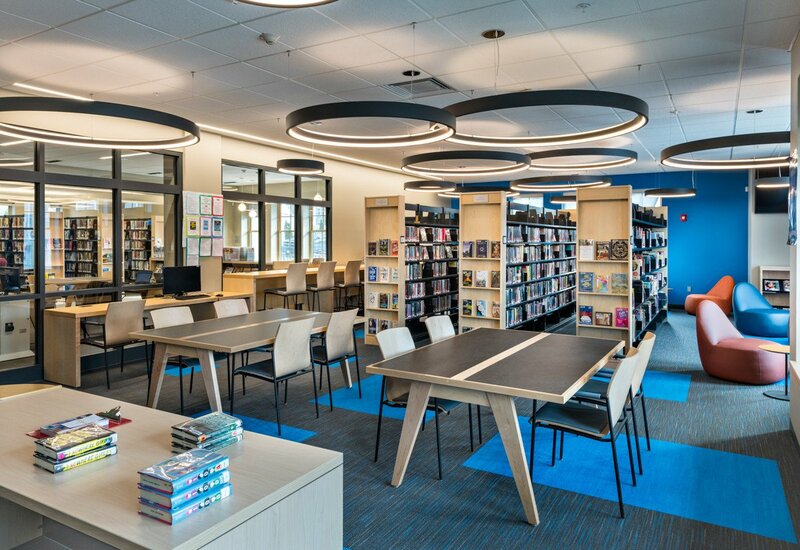 The Hopkinton Public Library resides in two previously linked, well-loved historic structures—the original historic library and an adjacent church. 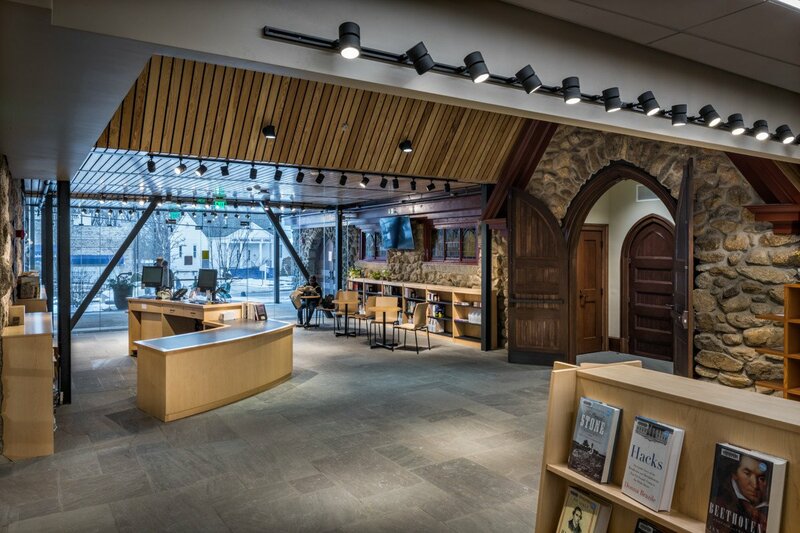 The renovations and additions reorganize the library and expand the existing historic structures from 7,000 SF to 22,500 SF. 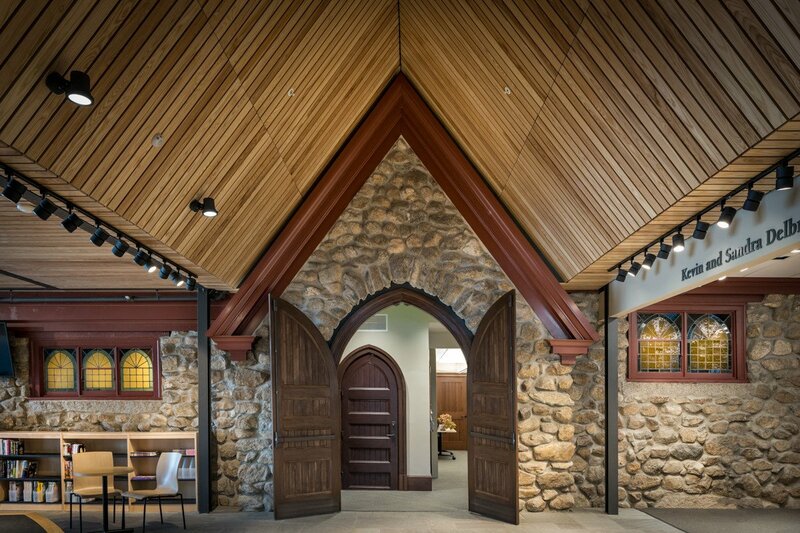 The renovation design is sympathetic to the architecture of the original historic structures. 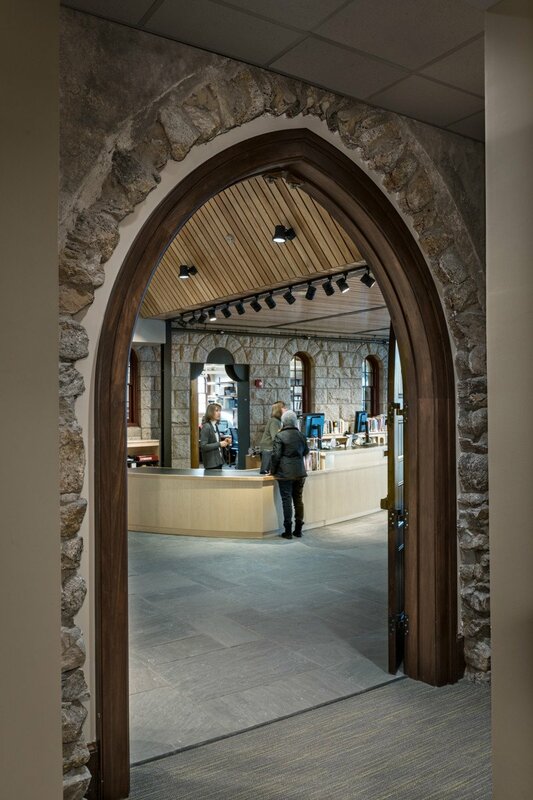 A new accessible entrance provides access to the library.